You spent hours writing your new blog post or book promotion article. Then, when you share it on Facebook, there is no social media image. Just an ugly grey box. There is rarely a problem on Facebook when you upload an image in full size for profile pictures or a cover image for your Facebook page. Any directly uploaded photo is rendered immediately to suit Facebook picture sizes and aspect ratio and stored on your page. If you write a new post and directly upload an image, there is usually no problem either. But you should know that your image will not have a link attached, which is not great for mobile users. You have to add a link at the end of your text manually. But it is often so small that it is difficult for mobile users to click. It is much better practice to use sharing or a link to create a new Facebook post to add your blog post or article. 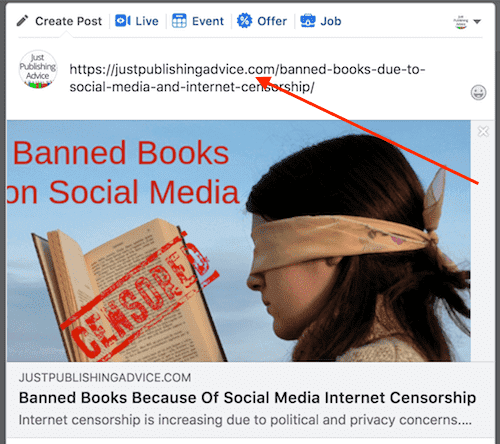 When you share any page on the Web, including a post on your blog or website, Facebook scapes the page and pulls the text and image. But the image is not stored on Facebook. 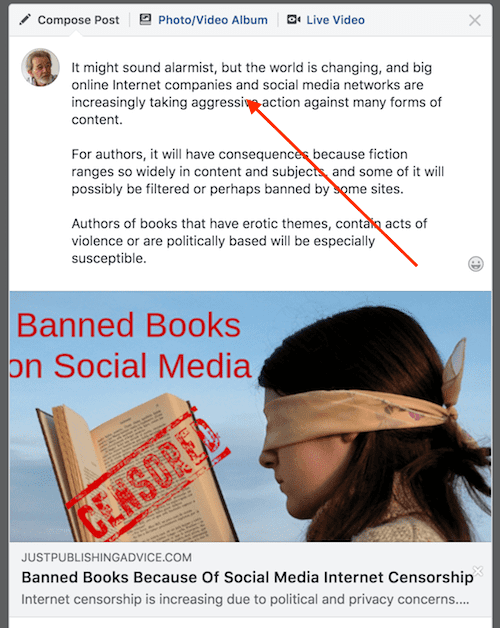 The image you see on your post is pulled from your blog. It works the same for a personal profile or business page. 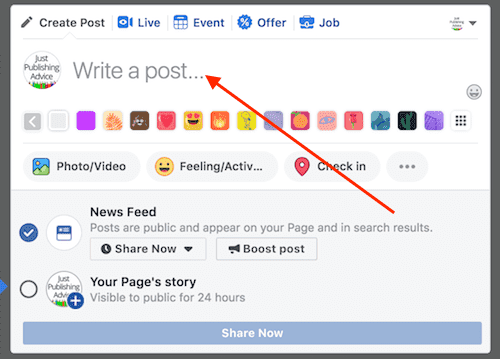 It doesn’t matter if you use a share button on an external website or paste the site link into the Facebook post editor. 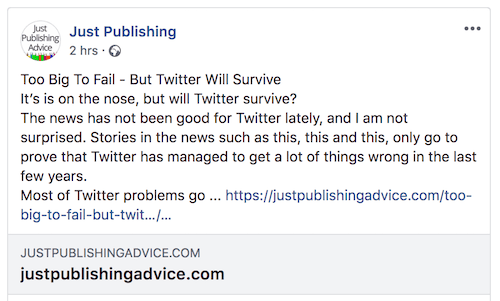 If all goes well when you share a page link, it will appear on other user’s news feeds with the correct text and an image. When you share a page successfully, you will see three separate parts. At the top is the text, including the page link address. The link is often abbreviated, but it will still work. Next is the image. When rendered correctly, the image is also a link, which makes it much easier for someone using a mobile device. All users have to do is click on the image with their finger or thumb. Lastly, there could be a box for SEO meta content. It will only show if the external page has these meta tags included in the original post. But occasionally there are Facebook gremlins at work, which are the result of background code tags. Facebook uses a system based on what is called Open Graph tagging. These tags set the parameters for all the text and Facebook image sizes in a shared post on Facebook. When the tag for the image upload display sizes goes wrong, Facebook loads nothing or a grey box in place of the image. These are the two possible results. Both results are going to get you a lot less attention and engagements for your post. Some social media marketers say, no image, no clicks. The expression is very true, so you need to fix the problem. The easiest fix is to add a new post by using the URL of the page you want to share. If you are not sure how to copy the URL link from your blog post, read our article on how to copy and paste a URL link. Go to your Facebook post editor on mobile and desktop. Where it says Write a post, paste your page link to your blog post. You can see my pasted URL link at the top. It might take a few seconds, but if your image renders, then all is okay. The next step is to add your text. You can overwrite the URL link if you like because your image will be the link. Now you can post your shared link, and everything will work perfectly. You might also want to delete your earlier post that had no image. If step one is not successful, there is another way to get Facebook to recognise your image. You need to go to a Facebook developers page called the Sharing Debugger. Enter your URL link and then click Debug. If you do not see your image, click Scape again once or twice. When you see your image appear, you will know that Facebook can now see your image tag and image dimensions correctly. Go back to step one, and share your blog page again and your post will work perfectly. If you still get a grey box after steps one and two, the last resort is to rename your image on your blog or website. By doing so, it will tell Facebook to start a new scape of your blog page, which will almost always work. To do this, delete your featured or first image from your blog. Now save your image with a new file name. For instance, if your image file name was flossy.jpeg, change it to newflossy.jpeg. Now upload your image with the new file name to your blog post and re-publish it. Then use step one again, and your post should have an image. Images on your Facebook page such as your profile photo or a Facebook event cover photo are stored on Facebook, and there is rarely any problem with these directly uploaded images. 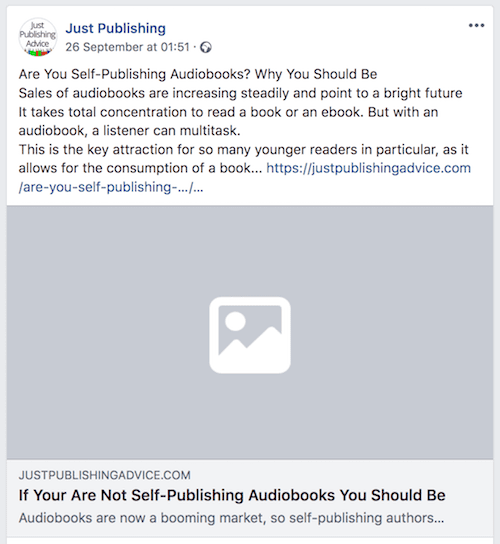 If you run a Facebook ad, your single image is set to the recommended pixels wide setting, and your ad image will fit and work perfectly on Facebook. 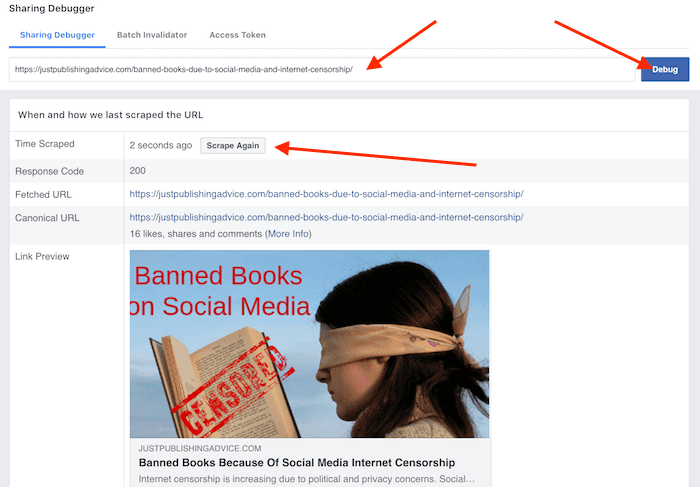 However, social media images on shared posts of an external page such as a blog post are stored elsewhere on the Internet, and this is what can cause the problem. Facebook only renders a copy of an external image, and this process can go wrong from time to time. It is also why you often see small square images that are cropped top and bottom instead of full-size images on Facebook posts. It is because the image dimensions are less than what Facebook requires to render in a larger size. It is a good idea to use high-quality images on your blog posts but keep to a moderate file size. If you use royalty free stock photos or any free images, make sure they are resized appropriately. If you are not sure about image dimensions, you can use this cheat sheet to check. The same process of rendering occurs on most social media sites. You can use steps one and three to resolve a similar no image problem on a shared post on Google+, Twitter or Linkedin. 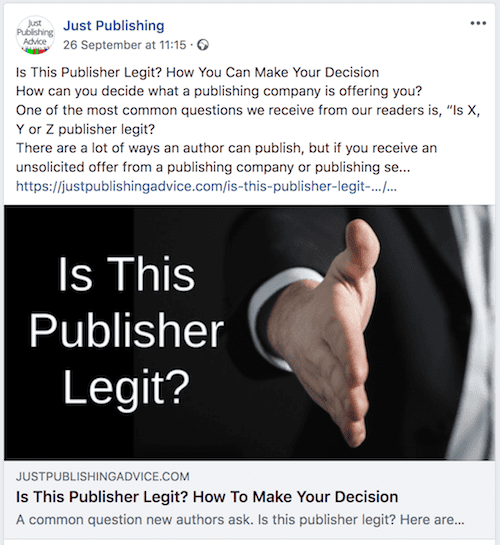 When you share and promote your blog posts or book promotion articles on social media, it is vital that your image renders correctly. Especially for phone and tablet users. Don’t settle for a grey box.